As a photographer, you are well aware of the origins of photographic excellence. It is the passion that you invest in the search for the perfect picture. A passion that you share with other photographers in Leica Fotopark. And now you can transform this passion into a tangible experience – with the new premium print service. Only the finest materials and state-of-the-art printing technologies are employed in the production of your prints. At the same time, you maintain complete creative control over the picture to be printed. Discover the infinite options for giving your picture the perfect frame. 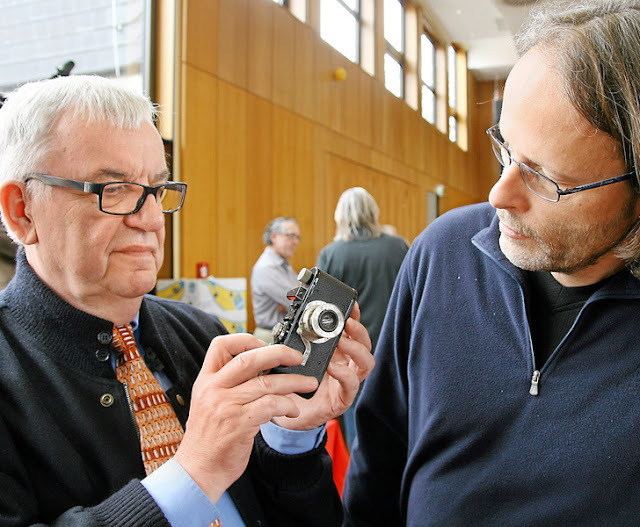 Leica Fotopark is a place of inspiration, for open exchange and organisation of high-quality photos. The community and the use of the Premium Print Service are independent from camera model and brand. The Solms Photo Exchange attracts Leica fans from many countries. When Wetzlar Leica specialist Lars Netopil invites to the photo exchange on Saturday, November 29 from 11 am to 5 pm at the Taunushalle (Taunus hall), friends of photography come from all over the world to this little town in the middle of Hesse, especially fans of the world famous Leica, to see the treasures up closely. 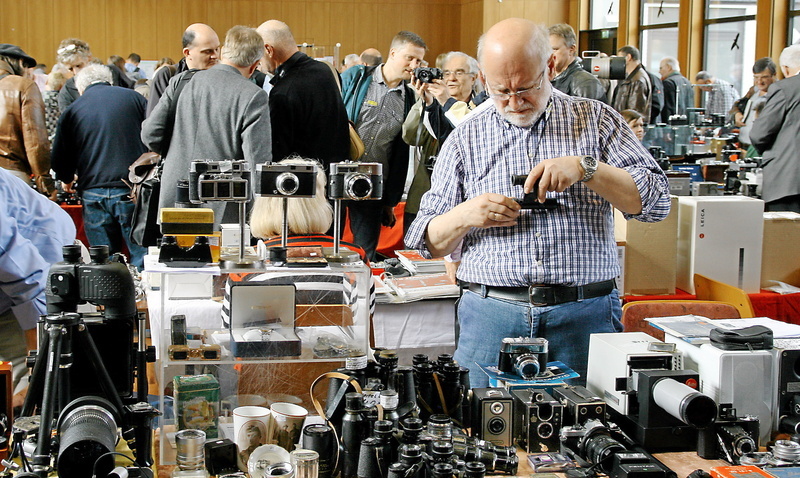 Last year there were several hundred collectors who visited the 87 exhibitors. At the exhibitions in the Taunushalle visitors will be able to purchase everything from classic cameras to lenses to accessories like light meters, batteries, camera bags, flash attachments, tripods, literature and a lot more. Of course many high quality makes of cameras will be offered, but when it comes to the cameras with the red dot, the eyes of the collectors assembled at Solms will appear to be a bit brighter. 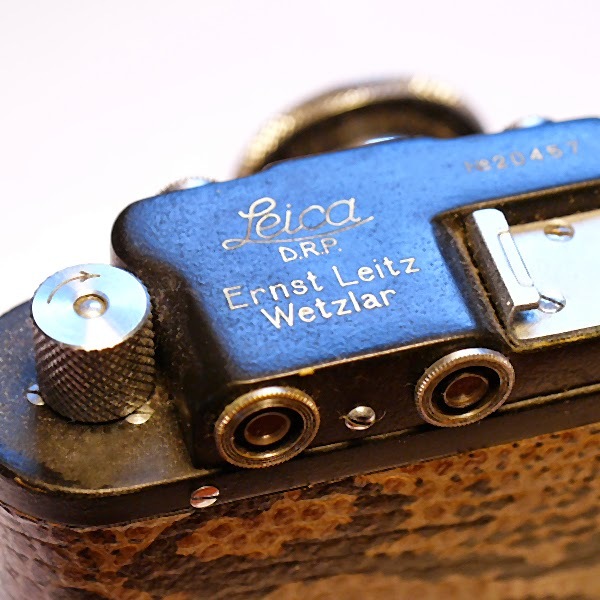 Take watchmaker Johann Schepers from Staufenberg for instance, he has his Leica rarities in daily use and many stopped to marvel at his Leica I from 1930 in the past. Even though it looks inconspicuous, it still produces outstanding pictures. “That is what fascinates me so much, the precision and the finest mechanisms still function like clockwork after 80 years – the monetary value leaves me cold,” the hobby photographer marvels while showing his outstanding color photographs of the Antarctic to those interested. “Photography only works with film and without automation for me,” he declares categorically and the visitors eye the camera veteran with virtual reverence. Everywhere they talk shop, try things out, rummage and negotiate and one or the other long sought after piece, which was missing in the collection and which isn’t even offered elsewhere any longer, will be found. Most photographers and collectors feel very much at home in the loose atmosphere of the camera lovers in the Taunushalle. Time after time they look for discussions and exchange of experiences. Fans always look forward to the Solmser Fotobörse and the possibilities to catch a treasured favorite piece of equipment. Lars Netopil will also make his new book “Rare Leicas” available at the Solms Fotobörse. Judging by past successes, it is safe to assume that this year’s Fotobörse will be just as successful as it has been in the past. Admission is 5 Euro. For more information, contact Lars Netopil at (06441) 41 03 78. Please Note: All the items below are subject to a 20% discount off the listed prices until the end of December 2014. Recent auctions have resulted in astonishingly high prices for rare Leica cameras, a trend for which there seems no limit in sight. Here is a group of four extremely rare Leica cameras. One can only wonder what the current market price might be. On top is a Leica 250 in excellent condition. These cameras were usually subjected to a great amount of wear and tear which makes the condition of this camera all the more surprising. 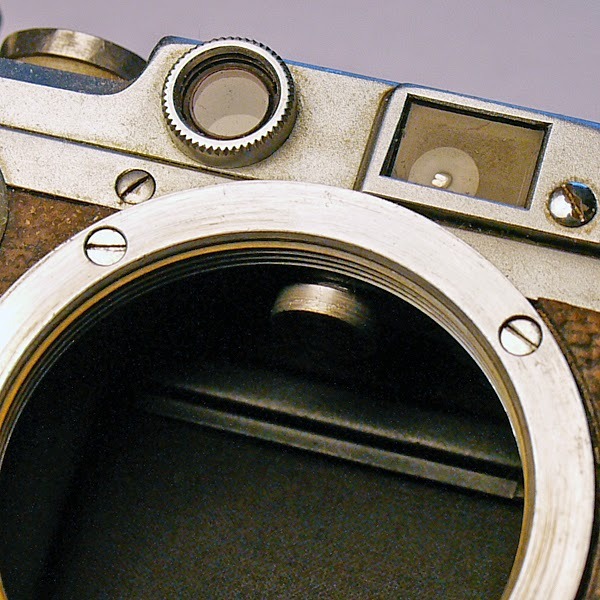 This particular example was derived from a Leica IIIa, making it a Leica 250 GG model. It was produced from the second half of 1935 up to 1943. Below, in the middle of the right side and to the left of it are two Leica Compurs, equipped with an Elmar 50mm f/3.5 lens with central leaf shutter, giving a range of shutter speeds between 1 sec and 1/300 sec. These were the first Leica cameras to offer shutter speeds down to 1 sec. The version with the black dial set shutter was produced in just 628 examples between 1928 and 1929, while the other, dial set version was produced in 1024 units between 1928 and 1931. 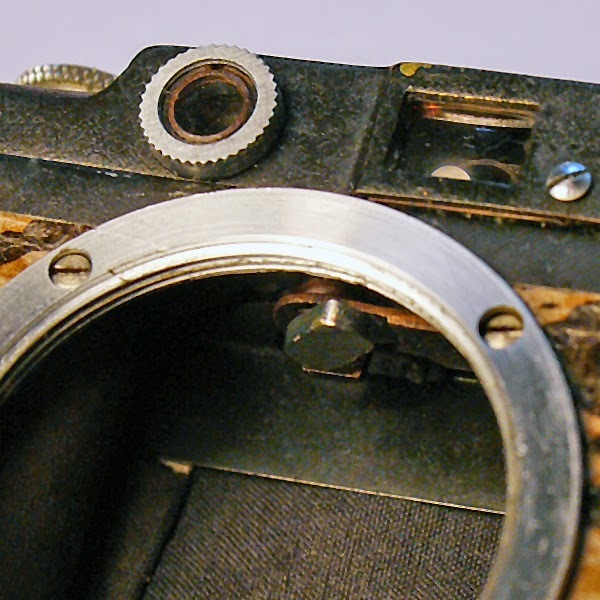 At the bottom is an extremely rare Leica Anastigmat, a Leica 1 or model A, dating back to 1925. It is part of the first production batch of these cameras. 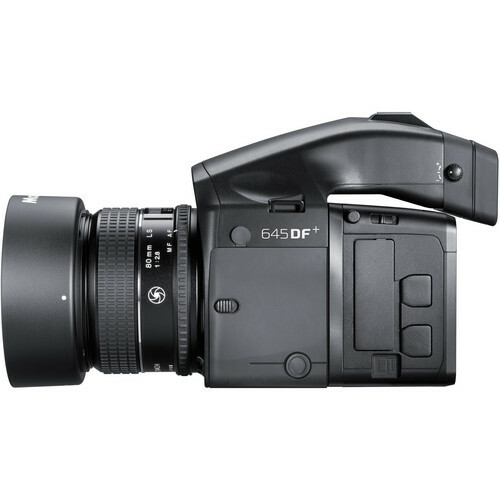 Equipped with a 5 element, 50mm f/3.5 Anastigmat lens, it was manufactured in less than 150 units. When the first Leica was introduced at the Leipzig Spring Fair in 1925, it was quite a sensation. It was the first time that such a small, portable camera was capable of delivering professional results. Thus it is not surprising that other camera manufacturers took note. As a matter of fact, the entire photographic industry at that time soon got involved to come up with 35mm cameras of their own. The 1930s saw the first imitations and the first attempts to bring construction standards in line with those of the new small format camera. 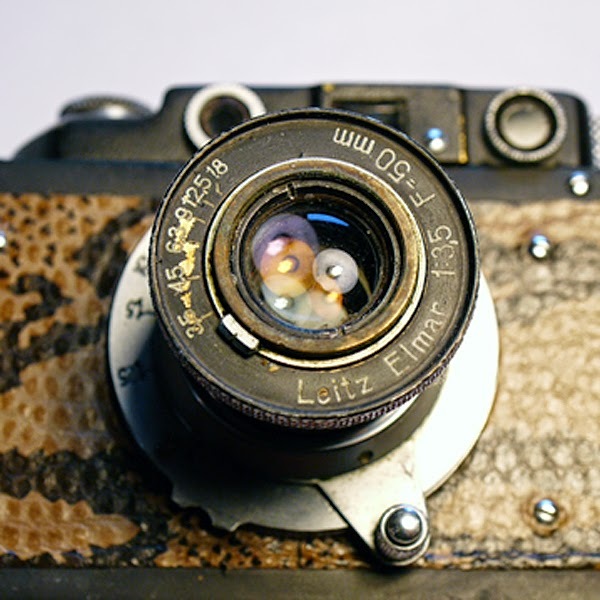 While German companies like Zeiss respected the Leitz patents and worked on coming up with their own 35mm camera designs, camera companies from other countries showed much less respect for the rights of the German company of Ernst Leitz. Especially in Russia, the Leica was at the very front of an industrial venture that was to span a period of over 50 years. The Leica II with its built-in rangefinder was studied, analyzed and finally reproduced in functional prototypes starting as early as 1933. The Leningrad mechanical works were the most advanced in Russia at the time. They built prototype copies of the Leica under the VOOMP name, while the FAG company in Moscow built a few examples under the FAG name. Both models were exact copies of the Leica with the exception of not having an accessory shoe. 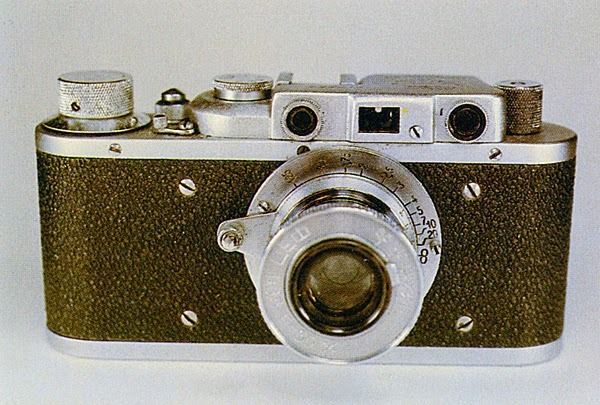 In 1934 the Leningrad and Moscow prototypes were abandoned and the construction of Russian Leicas began at the FED works in the Ukraine. While these Russian Leica copies do look very much like a genuine Leica, a bit closer inspection will quickly reveal that these cameras do not approach the overall quality of a Leica. They usually operate a lot rougher, without the legendary smoothness of a Leica. But there is one other, sure way to tell if it is a Russian copy or the genuine Leica product. All one needs to do is to remove the lens. 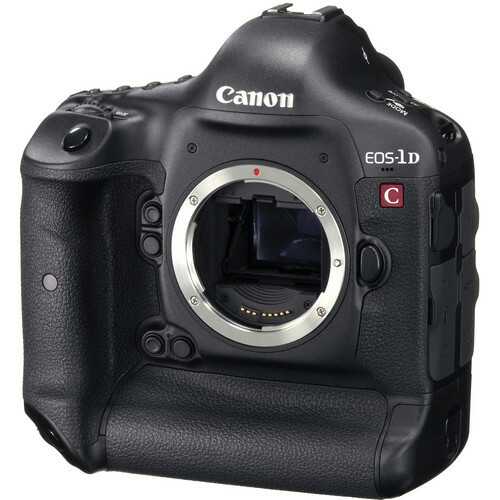 This will reveal the rangefinder lever of the camera. While all Leicas have a roller at the end for smooth operation, the Russian copies have only a simple cam. The prewar production of FED cameras was over 150,000. That included a number of experimental cameras with a top shutter speed of 1/1000 sec. and some had a slow shutter speed dial like the Leica III. It is thought that some even had a large film capacity of 250 frames, like the famous Leica Reporter. Some of the prewar FEDs were even engraved with the Leica logo on the top plate. These were meant to be exported to Western Europe. 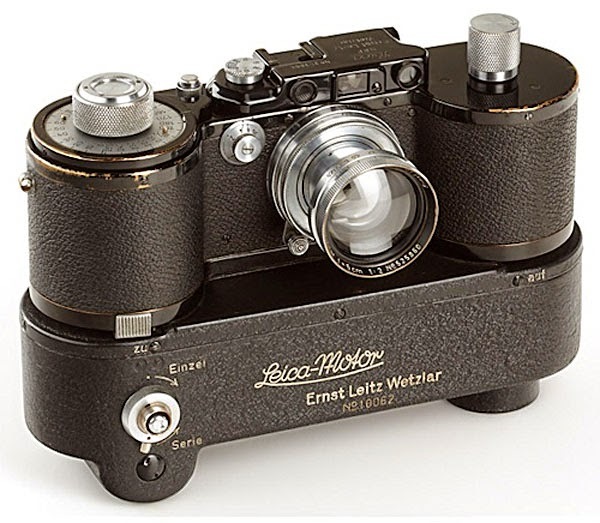 While the standard FED cameras all were equipped with a 50mm f/3.5 lens, a copy of the Leitz Elmar, labelled as Industar, the lenses for the Leica engraved cameras even used the Elmar designation on the lens. The beginning of WWII resulted in the suspension of the manufacture of FED cameras for the civilian market in 1941. Production started again in 1946 and went on without any major changes until 1955. Between 1949 and 1950, about 1000 FED cameras were modified with the Contax type bayonet mount to be able to use the original Zeiss lenses for the Zeiss Contax. In place of the usual FED inscription, the top plate of these cameras was engraved with a five point star, surrounded by the Cyrillic letters TCBCB. In 1948 the Krasnogorsk optical works near Moscow started to produce FED cameras. 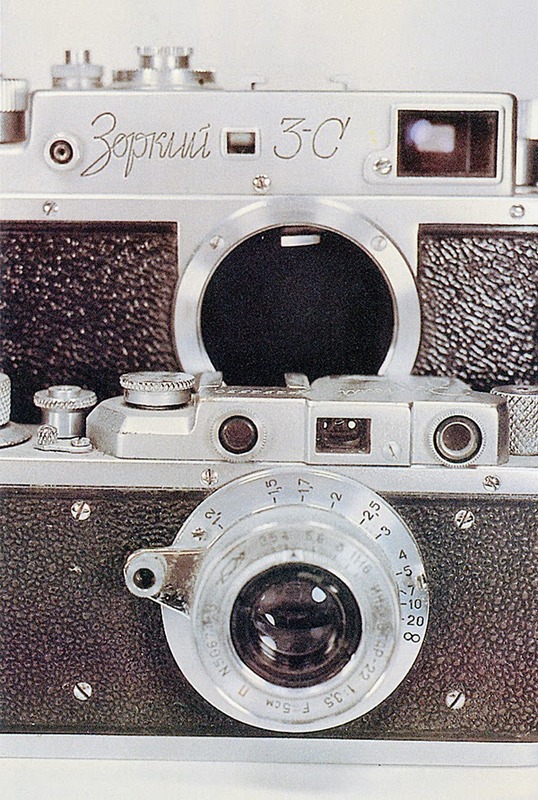 Initially their cameras were engraved with a combination of the FED and Zorki label, Zorki meaning ”sharp sighted” in Russian. 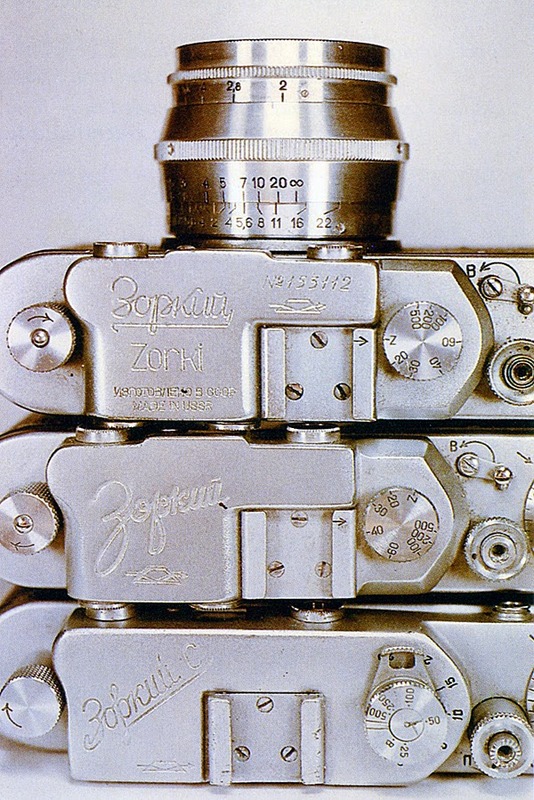 But after just a few examples, these cameras switched to just the Zorki label. These cameras were absolutely identical to the FED and they too were produced without any changes until 1955. 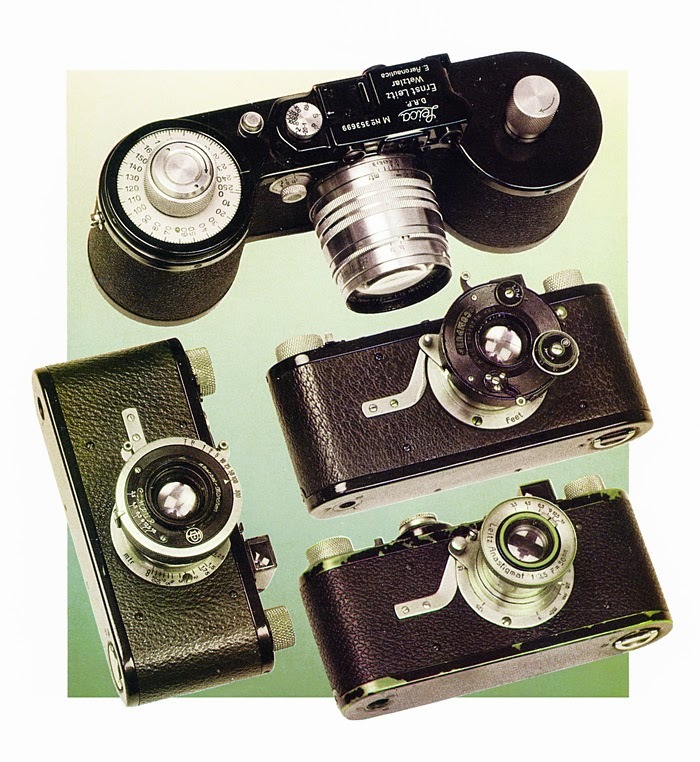 In 1954 a variation of the Zorky 2 cameras was made with a short production run of approximately 1000 cameras. They had an identical camera body as the Leica they were copied after, but were equipped with a long prewar Zeiss Contax style self-timer lever. During the military occupation of the cities of Dresden and Jena, the Soviet troops removed the entire Contax works and took all machinery back to Kiev. That led to experiments of combining elements of the Leica and the Contax. 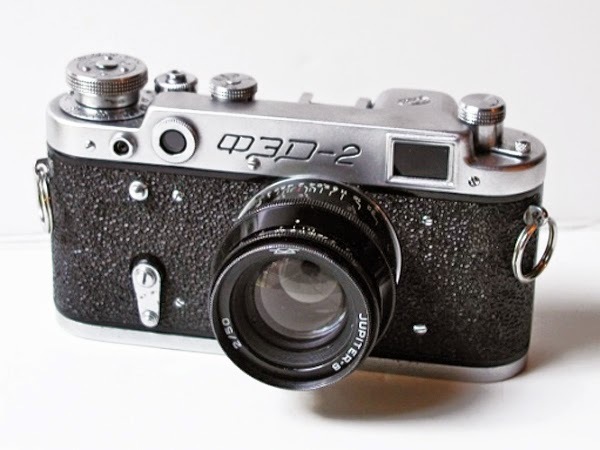 This led to the design of the Zorki 3 which differed from the original Leica copy in many respects. The Zorki 3 was equipped with a large viewfinder/rangefinder very much like the one in the Contax. The camera also had a slow shutter speed selector. In 1955 the FED too was equipped with a large viewfinder as the FED 2 model. This remained in production without any significant changes until 1970. In 1956 the FED 2 was equipped with a flash synch outlet but was left otherwise unchanged. 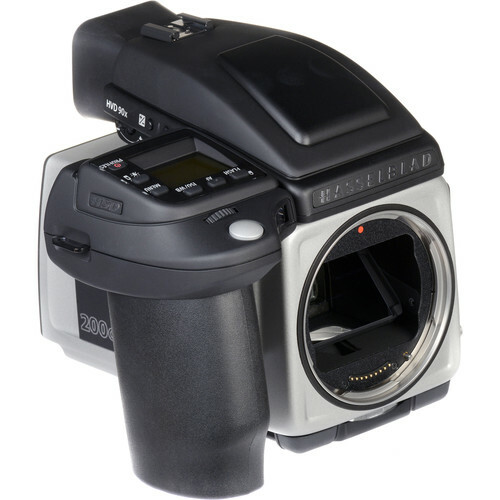 The Zorki C, Zorki 2C and Zorki 3C also changed to offer flash synch, but not without a redesigned camera body. With the Zorki 3 and even more so with the FED 2 and Zorki 3, the Russian camera industry finally moved away from the Leica style. But they maintained the Leica screw mount for another 30 years. Every once in a while we come across accessories that are a perfect match for Leica cameras. One such line is offered by Think Tank Photo. They are a group of designers and professional photographers focused on studying how photographers work, and developing inventive new carrying solutions to meet their needs. By focusing on “speed” and “accessibility,” they prepare photographers to Be Ready “Before The Moment,” allowing them to document those historic moments that reflect their personal visions and artistic talents. For some companies, it is only about the product. For them, it is more: It is about supporting photographers doing their job. If they can design products that help photographers travel easier, take pictures faster, and organize their gear more efficiently, then they will have accomplished something beyond the bags themselves. They offer a great variety of accessories, including Belts, Beltpacks, Backpacks, Harnesses, Holster Camera Bags, Modular Component Systems, Rain Covers, Rolling Camera Bags, Shoulder Bags, Straps, Sling Bags and more. Go to ThinkTank, click on “Start Shopping” and receive a Think Tank product for free with every order of $50 or more, and free shipping, the best pricing, and Think Tank’s famous “No Rhetoric” warranty. 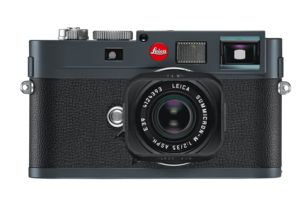 The one thing Leica is most often criticized for is the cost of their cameras. 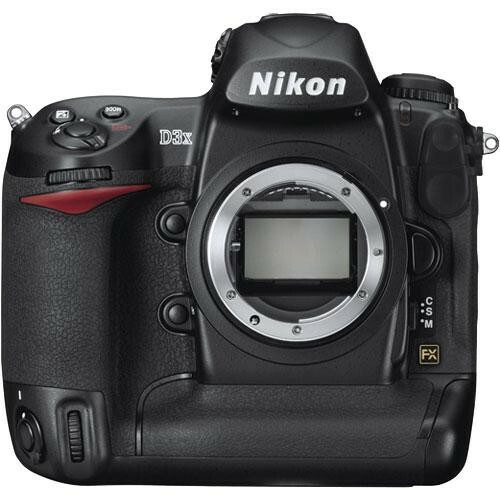 Subsequently a lot of photographers chose other makes of cameras because they are so much less expensive. A lot of them are, without doubt, but let’s take a look at the top models from other manufacturers. After all, you have to go to the very best to find something that comes at least close to a Leica in terms of performance. 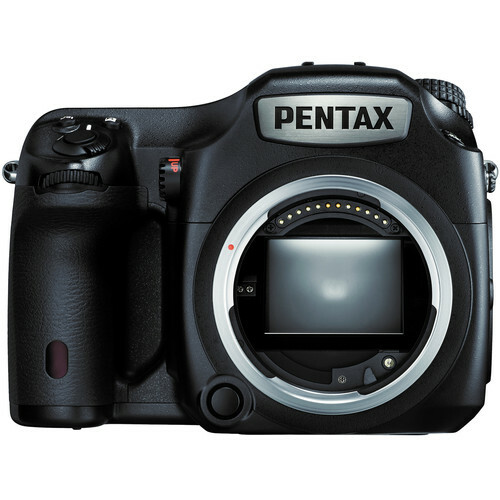 Here is a list of cameras both medium format and full frame, in descending order, based on price. That makes Leica look quite attractive. But what about lenses, one might ask? Without doubt, Leica lenses are among the most expensive on the market. But they also present the best performing line of lenses on the market. One reason is the way they are made. The bench made process, employed by Leica, allows for the implementation of much tighter tolerances which is needed to achieve absolute top performance. This method of production does not allow for any mass production procedures, all of which is expensive, but it also assures an unsurpassed level of quality. In comparison, not all competitor lenses are of equal performance. Most other companies make so called kit lenses which are meant to keep the prices of their camera-lens combinations rather low. These lenses generally are of a rather poor performance and should not be used for any price comparisons. Instead, take a competitor lens that is made to much higher quality standards. Even then you still have a mass produced item with the shortcomings associated with mass production. Then, if you go beyond that and take a lens that is sold in only relatively low quantities, with other words, a lens that is similar in production numbers to Leica lenses and the cost suddenly rises to similar levels. For instance, take the Nikon AF-S NIKKOR 800mm f/5.6E FL ED VR Lens, and you are looking at $17,997. But one does not have to go to such extremes. When it comes to performance, one manufacturer outside of Leica has definitely a very good reputation of their own, the company of Zeiss. Their 55mm f/1.4 Otus Distagon T* lens sells for $3,990. 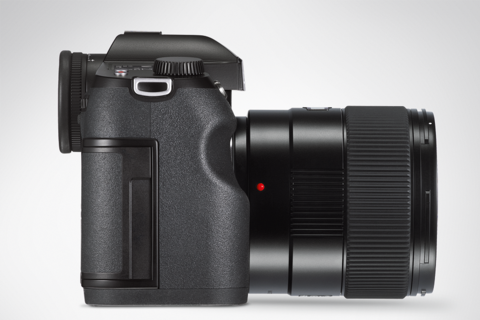 In comparison, the Leica 50mm f/1.4 Summilux ASPH has a price of 3,745. 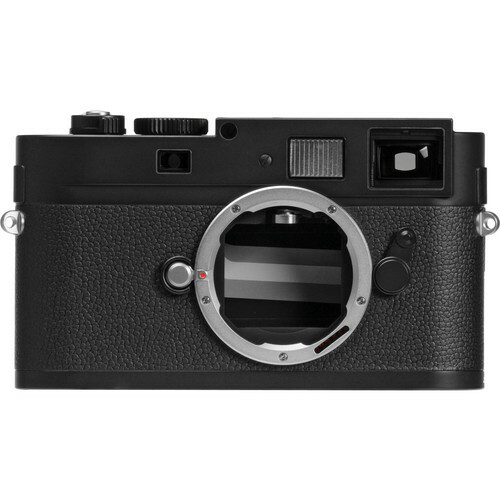 Recent articles on this blog showed some of the advantages of the Leica digital sensors. Taken any of the Leica cameras equipped with those sensors, combined with a Leica lens, and you have a camera with unsurpassed performance with, what turns out to be a competitive price as well. A couple of days ago I was looking for something that I had misplaced. I didn’t find it, but while I was looking, I came across a few Leica items that I had not thought about for quite a while. There, neatly tucked away in a drawer were three Leica ties. They instantly brought back memories of LHSA (International Leica Society) meetings in the 70s. 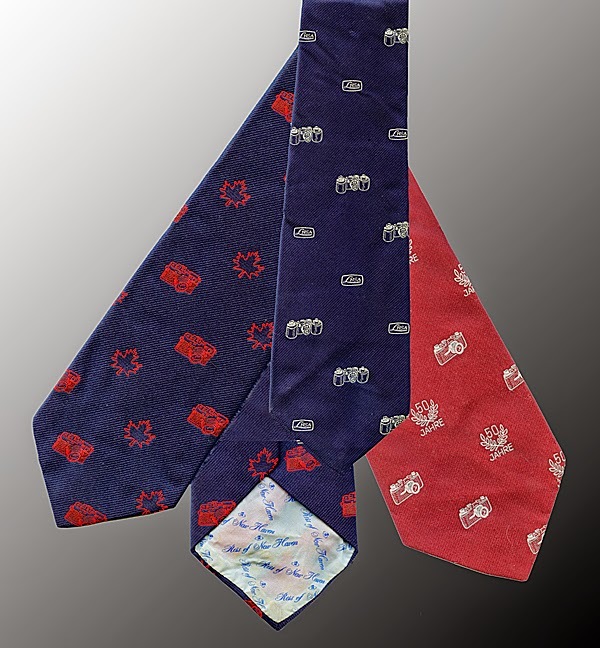 They commemorated important events in the history of Leica, like the 50th anniversary of the introduction of the Leica to the world market in 1925, or one of the LHSA meetings with a picture of a Leica 250 and one tie depicting a Leica M4 or M4-2 and a maple leaf. I don’t recall the actual occasion, but have to assume that it was in honor of the Ernst Leitz Canada (ELCAN) operation. 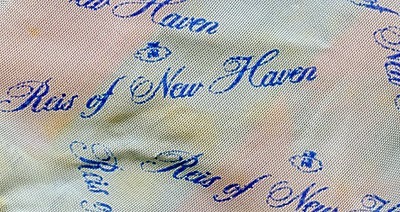 These very high quality ties were made just for LHSA members by Ronnie Reis and his company Reis of New Haven. It would be interesting to see if any other readers of this blog have any of these treasures. Please let me know. THE PIXEL RACE - DOES IT REALLY MAKE SENSE?